Antivirus programs are not the luxurious item; however, the way to ensure personal data security. It won’t be an exaggeration to say that the cybercrime is at its height. For that reason, it is essential to be confident in your gadget’s security. Learn about the advantages of the anti-malware programs, types available, and tips on how to choose the software that would be best for you. 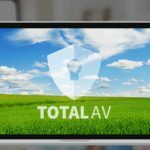 How to choose an Antivirus program? Anti-malware or antivirus program is a protective tool for your device. Today, it is hard to imagine a user who would not have any antivirus program. The point is that cybercrime is a common thing nowadays due to the new ways of contamination generated by skillful hackers all the time. Getting an antivirus application, in such cases, seems to be a logical decision. So, how do antivirus programs work? Several types of antivirus would be explained further in the article. Despite their nature, however, such programs are governed by the same idea. The tech geeks create antiviruses to either protect or cure the user’s gadget. In a nutshell, it works like that. In reality, antivirus is a complex program made of many differentiating methods required to protect the system. Whether you face the annoying advertisements or suspicious pop-ups, antivirus can handle these. What is more, a robust program would even tell you the exact time of the cyber attack. The good thing is that people can choose a program that protects in a real-time (“live” option) or scans the gadget – it all depends on what one expects from the program. Modern tech-market offers a wide variety of anti-malware software. All the available programs can be divided into three distinct types of antiviruses which are the malware signature, system monitoring, and machine learning anti-malware programs. The users choose the tools depending on what they expect to receive, eventually. Every malicious software has got its so-called fingerprints – signatures. Using malware signature antiviruses, you can detect the digital prints of a particular “saboteur.” This type of antivirus scans the codes, identifies the issue, and disable the harmful programs. The only disadvantage of the malware signature antiviruses is that it detects the existing and known threats only. 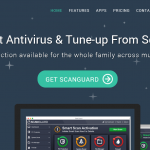 The core target of the system monitoring antiviruses is to check the entire system of the gadget, as well as its software, to protect it from any suspicious behaviors. Any untypical thing points at the possible cyber attack. If you visited a new, untested website or, all of a sudden, noticed a considerable increase in data usage, your system requires monitoring. Machine learning antiviruses represent another approach to PC/device protection. Such software work the following way: the machine learning anti-malware software examines the typical performance of PC/device and/or behaviors of the network; if there is any deviation in a gadget’s work, the antivirus will limit all suspicious activities via unique algorithms. Machine learning antivirus also works well together with other protective tools. Technologies are rushing out towards the new horizons all the time and programming succeeded incredibly as well. It is remarkable that almost all contemporary OS have got some built-in protective tools (Windows Defender, firewalls, etc.). The creators’ target is user needs. For that reason, they place their bets on the ready to use tools, the ones that come together with the gadgets and ready to protect the system. The built-in firewall or Windows Defender is perfect for those who are incredibly attentive and careful to their PC/device. Nonetheless, the cybercriminals are rather inventive and smart to pass over known built-in protections. Any suspicious link, untested website, or attachment can quickly become the reason of the gadget’s contamination. In such a way, it is good that your gadget includes already built-in protection. Nonetheless, even this tool does not give you a 100% guarantee that you will never be attacked. Users should realize that prevention is more effective than the solution to the problem. For that reason, whether you have a built-in protection tool or not, consider purchasing some good antivirus program. It seems wise to utilize a tool that would considerably strengthen the protection of your gadget. Now, that you decided on getting a good anti-malware software, you should know what program you need. Indeed, there are so many options today that you may not know what to pick. Some software is better in detection, and others are perfect for the preventative or deleting of the malware. The first thing you should do is think about what you expect from the antivirus: consider your activity, job specifics, popular websites to attend. Based on this information, you can understand what type of anti-malware program you need. 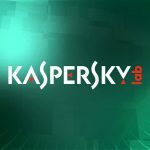 Keep in mind that the latest version of the antivirus is the best one as it takes into account some new, previously unknown malware. As soon as you decided on the type of protection you need, the only thing to do is to pick the anti-malware program that perfectly suits your possibilities and expectations. 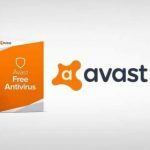 To speed up the process of choosing, go to the specific websites with the articles devoted to the topic of the best antivirus programs. The detailed reviews together with the user commentaries would come in handy for you. Besides, some programs offer a free trial for you to test it.